Vicky here from the Adopt an Author team. 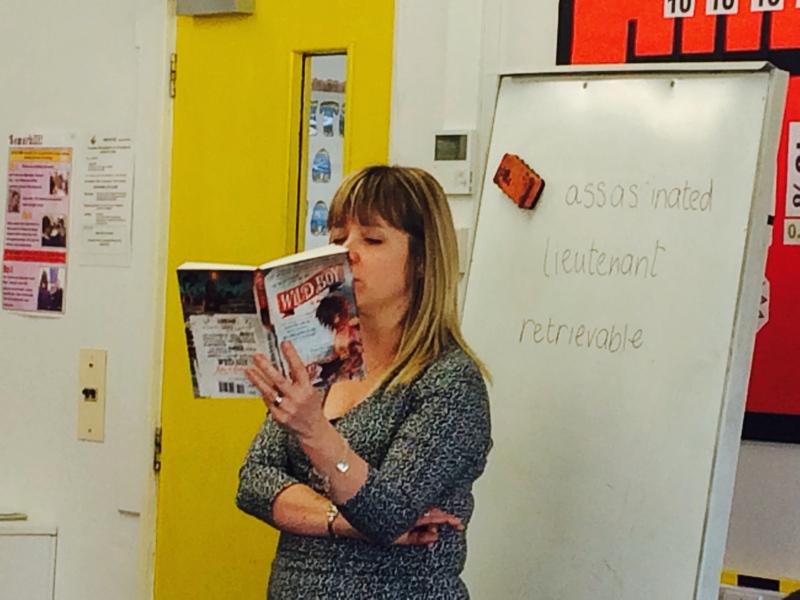 Last week I had the privilege of meeting the fabulous Year 5 reading group at Somerhill Juniors during their session with Mrs Longton-Howorth while they read from Rob Lloyd-Jones’ Wild Boy. 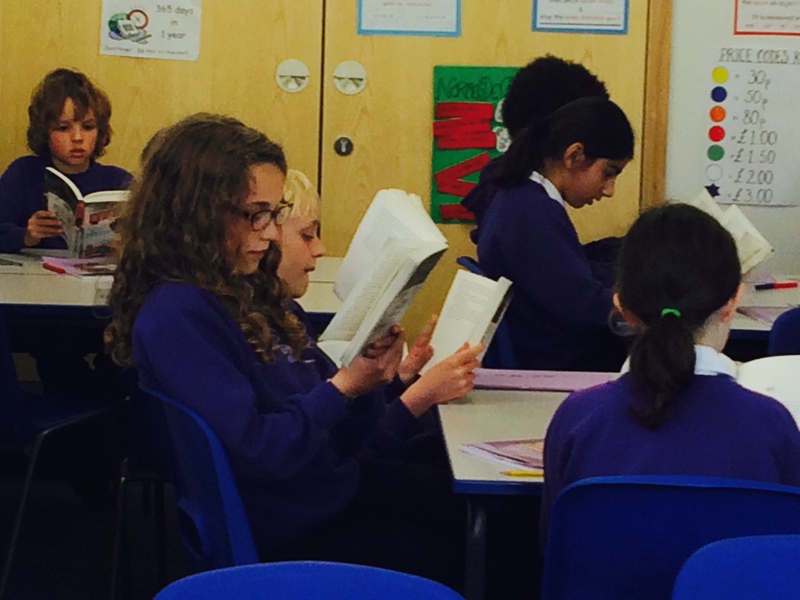 I think it’s safe to say that all of these enthusiastic young readers LOVE the book and are now huge fans of Rob’s. 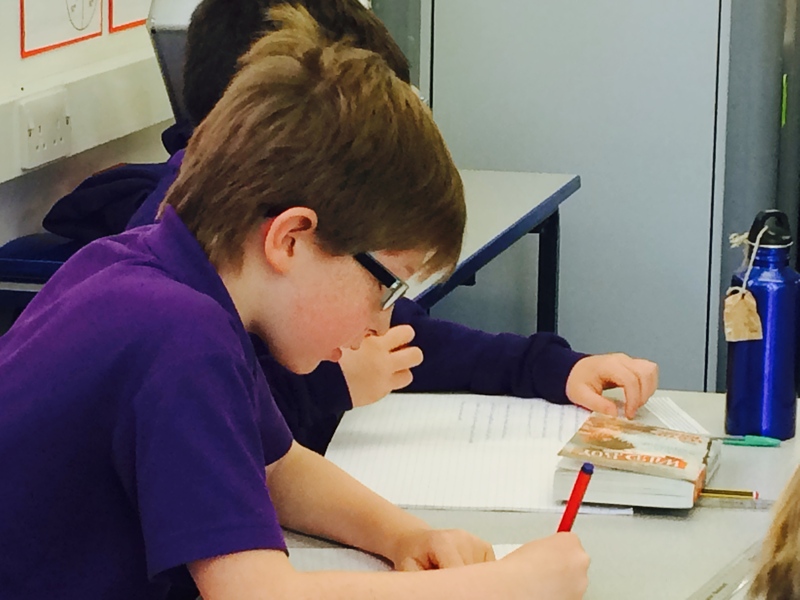 The session began with the class following the text while the teacher read aloud. The class then read their email comments from Rob (who has been giving every child in the class feedback each week!) which they stick into their exercise books so that they can see it while they’re working on the next task. For the last 8 weeks Rob has been guiding them through the process of creating their own characters and then creating a story for them and when I visited they were working on a plan for their story ending. 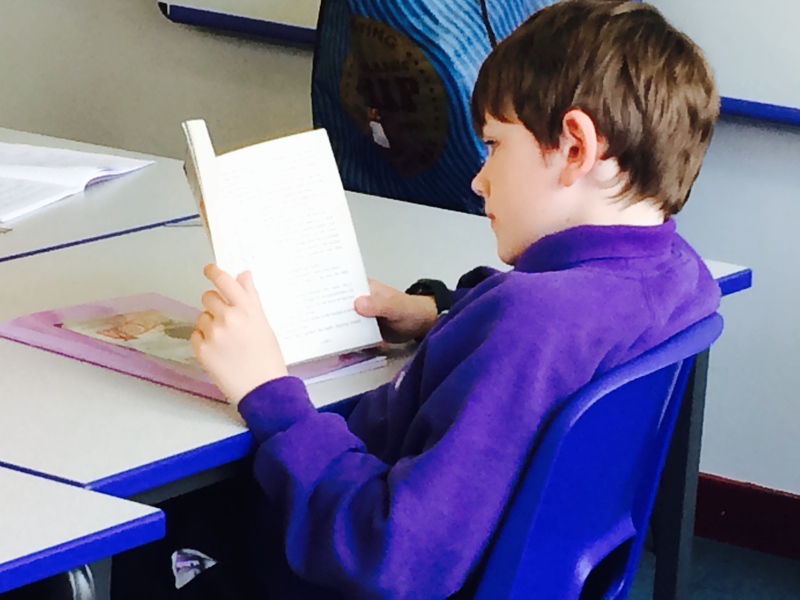 Mrs Longton-Howorth told me that they never let her get away with finishing the class without reading another chapter of the book so we got to read a bit more before it was time to go. I managed to get a quick interview with two of the pupils taking part in the project which I’ve uploaded here for your listening delight! Apologies for the windy playground sounds, we braved the elements outside so we wouldn’t disturb the rest of the class’s writing!